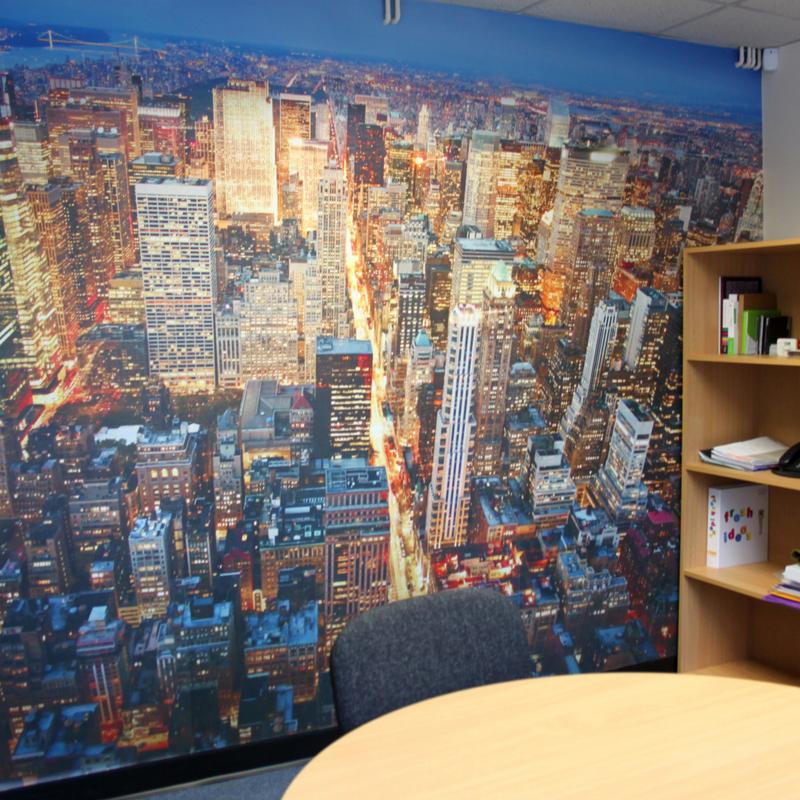 Project Design Print is pleased to offer two types of printed wallpaper: Pastable Dapple Wallpaper and Self-Adhesive Fabric Wallpaper. Both of these products make for a dramatic showcase of your imagery and can be featured in your place of business, home, trade show space, and more. 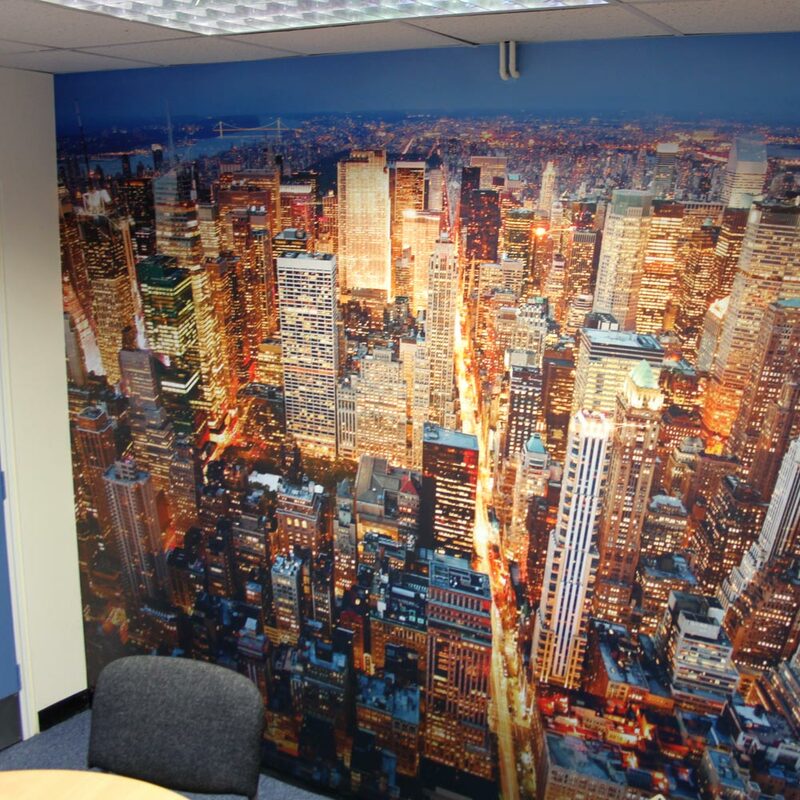 Upload your custom imagery and we'll print your wallpaper to your desired dimensions. Pastable Dabble Wallpaper: Project Design Print features lightly embossed PVC top-coat wallpaper that's designed for easy installation and removal. Free from heavy metals, this wallpaper is eco-friendly and is printed with flame-retardant UV inks. Self-Adhesive Repositional Fabric Wallpaper: Project Design Print features this product with woven polyester fabric adorned with removable adhesive. It's designed to stick to any smooth, non-porous surface and is printed with flame-retardant UV inks. It's conveniently easy to apply to your surface and remove. Please note that we will trim your printed wallpaper to the size ordered.